Welcome back to Rotten Ink and to my 2nd update in our countdown to Halloween 2017. I have been looking forward to doing this update as this comic is based on a film that revamped the horror genre of the late 90’s well into the 2000’s and also sparked the craze of found footage films that is still going to this day. Of course I am talking about The Blair Witch Project! This 1999 film took the world of horror cinema by storm and proved that independent horror could bring in big dollars at the box office and that horror really has rabid and loyal fans. During this update we will chat about the film’s production, The Blair Witch herself, my first viewing of the film, merchandise and a little of everything in-between. So pack your backpack and grab some trail mix as we are heading into the Black Hills Forest to find the old Rustin Parr house and read our comic! 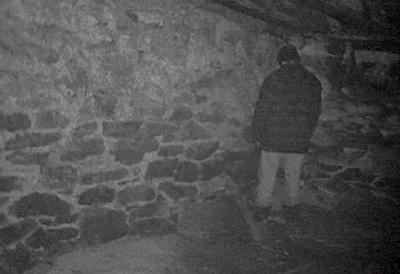 If you’re not too scared as Halloween is fast approaching, let’s dive into the world of The Blair Witch Project. To start this spooky update off right we should first take a look at the film that started a craze of point of view horror films as well as brought horror back into mainstream cinemas. It also was a film that got too big for most diehard horror fans and caused a huge backlash of fans turning on it over all the hype. I should also note it was a film that gave many movie goers motion sickness as the shaky camera work was just too much for them to handle. So let’s take a look at the production of this horror film mega hit. 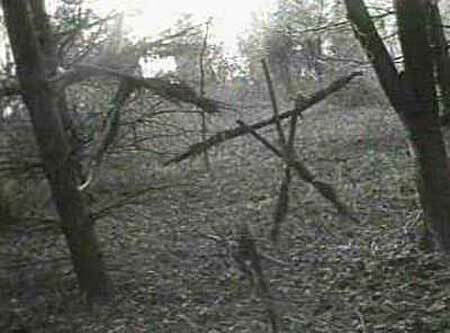 The Blair Witch Project hit theaters on July 14, 1999 and took the world of horror by storm as it brought in $140,539,099.00 at the US Box Office on a budget of only $60,000! 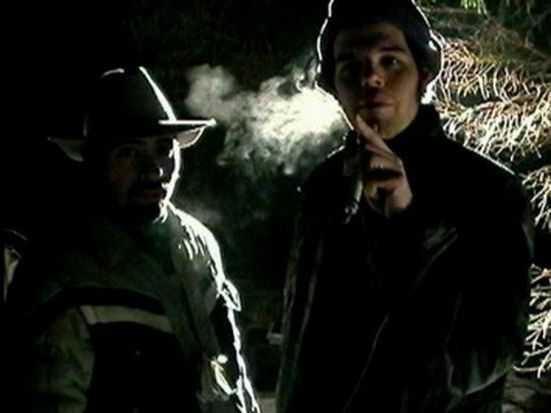 The film took root in 1993 when friends and Florida film students Eduardo Sanchez and Daniel Myrick wanted to make a cutting edge horror film that blurred the lines between film and reality as they enjoyed documentaries about ghosts and the paranormal. Along with some other friends, they opened Haxan Films and started to plan their film and characters and used real people from occult as inspiration like Rasputin and mystic Edward Kelley, and with the names set so came the backstory of their character Elly Kedward The Blair Witch. The film went into pre-production in late 1997 and with this also came investors and the casting of Heather Donahue, Joshua Leonard and Michael Williams. During auditions they all had to improv to weird questions and situations. 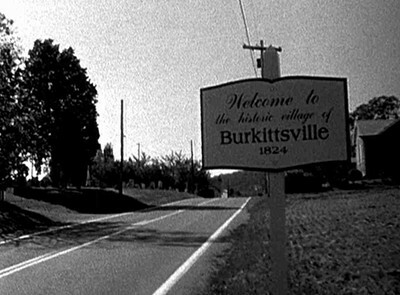 Filming started in October 1997 in the woods of Maryland and in the town of Burkittsville. The cast was let loose with two cameras and only clues to find their next locations and what “drama” and “horror” should be taking place. During the filming, the actors were pushed long distances and at night they were deprived of sleep as well as food. The final scene of the film takes place in the old house of child killer character Rustin Parr, and the house used was the historic Griggs House that sadly was torn down due to fans stealing pieces of it after the film’s release. 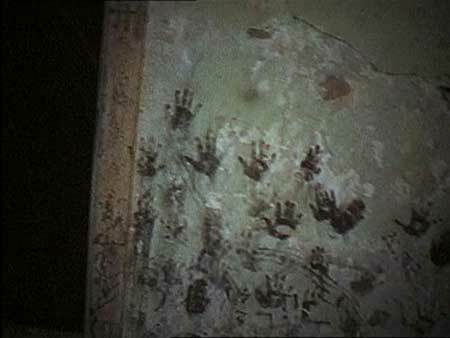 The last day of filming came on Halloween 1997, a perfect day to wrap filming of a horror film! After editing and test screening, the film was bought by Artisan Entertainment for only $1.1 million. Before the film was released, the ending was a hot topic between the filmmakers and Artisan as they wanted a different ending to the film, but after some time and four more endings being shot, they all decided to stick with the original. Artisan did an amazing job of marketing this film as they passed it off as a real case and took to the new world of the internet to push this as a missing persons case with the last few moments caught on camera for moviegoers. They spread the word via websites, print ads, and even fake interviews and police reports were made. On the film’s IMDB page, the actors bios were listed as “Missing, Presumed Dead,” and this sparked movie goers to wonder if what they were seeing was real or not! 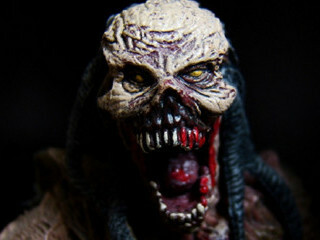 The marketing for the film worked as it was a major hit at the US box office as it brought in big money and was the 10 grossing film of 1999 and beat out other Horror Films like Sleepy Hollow, The Haunting, Deep Blue Sea, Stigmata, Lake Placid, Stir Of Echoes, The Rage: Carrie 2, Bats, End Of Days and the remake of House On Haunted Hill. A little later in this update I am going to share my thoughts of seeing The Blair Witch Project in the theater as well as maybe Juliet’s that way you will get two different views and experiences of seeing it. Say what you will about the film nowadays and while its fashionable to hate on it, in 1999 it was a film that kept horror alive in the theater and proved to companies that they don’t need to spend huge budgets on them in order to turn a good profit. 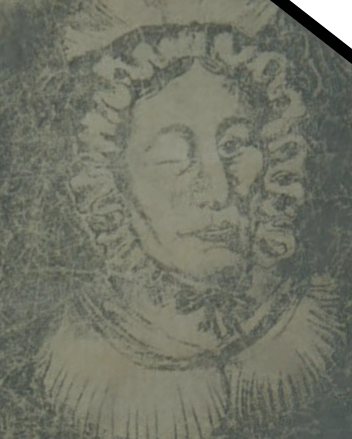 The film’s main villain is The Blair Witch, Elly Kedward, who was a strange old woman who lived in the town of Blair when she immigrated from Europe in 1800’s and became the town’s creepy old lady. And after she was murdered by the townspeople, she became supernatural and with this came new powers that aid her in her quest for revenge on those who make the mistake of being in the Black Hills Forest. 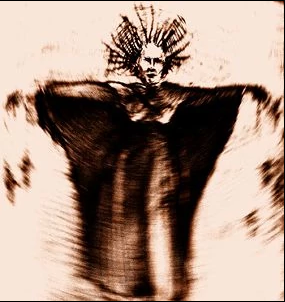 We will showcase her powers just from the first film because as the series goes on, she changes her ways and as we look more into the Blair Witch we will cover them. Elly has the power to change her appearance and even look like people’s friends. She can also imitate people’s voices and can make it sound close or far away. She can also make people confused as she can bend time and locations causing panic and confusion from her victims as they try to make sense of their situation. She can “mark” or “curse” a person with witchcraft and targeting them via their personal items. The Blair Witch also seems to know who and what is going on in The Black Hills Forest and also seems to be able to make the Rustin Parr murder house appear and disappear when she needs it. And to kick off her power, she also seems to control the spirits of young children that she uses as her tools to scare her victims. She also has a strange ritual that has one of her victims standing in the corner with their back to her and a victim she is going to kill, as she does have the power to posse a living person. So as you can see she has the power of witchcraft and supernatural powers, and she has no issues killing those who dare to cross her. While never seen below is pictures of what she is supposed to look like and that includes what McFarlane Toys think she looks like. My friends and I were all hyped to go see The Blair Witch Project in the theater and all wanted to make sure we saw it on opening weekend. 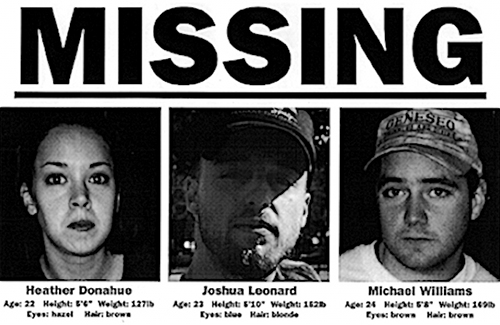 We knew that the film was fake and not a real found footage film of missing college kids, as we all knew that Heather Donahue was an actress in Stake N Shake Commercials, but the buzz around the film and the fact we all loved horror films drew us to it like a moth to a flame. We saw the film on July 17th at the Showcase Cinema Cross Point in Centerville after we had a Horror Movie Marathon the day before, and we were ready for what the world was saying was the scariest film of all time. The friends that went with me were Matt Hoffman, Josh Weinberg, Dave Wean, Rion Neeley and Brandon Womeldorff, and we all grabbed our snack foods and sodas and were ready to watch the film. I can remember that we all were so hyped for the film to start, and a group of teenage girls sat behind us and were also ready to be scared. I can remember being entertained by the film, drawn in by the drama and in moments my adrenaline running high as the slow build up to the final scene in the house was taking place…and shocked as the young ladies behind us were crying so loud at the end of the film as they believed that what they just saw was the death of three college kids. The marketing worked on them. After the movie we all hung out in the parking lot and chatted about the film, and while it had flaws, we all ended up liking it for the most part. This opinion of “like” would change for many as when the backlash hip thing to dislike the film came around some of these friends jumped on that train. The things that worked for me were the unsettling nature of three acquaintances stuck in the woods by a supernatural power, the ending that takes place in a creepy abandon house was great classic horror stuff and struck a cord with me as I at the time was really into entering old houses like it, I enjoyed looking at Heather Donahue as at the time I was into her look. 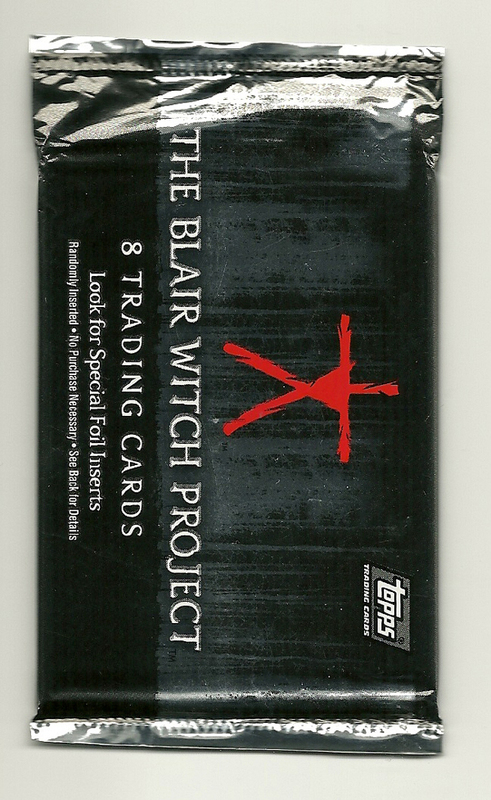 One last major plus for me was that you never did get to see The Blair Witch as she is never on camera. The things that didn’t work for me in the film was mostly some of the improved dialogue as Mike at times delivered some terrible lines as well as his actions were dumb aka kicking the map into the river. The other downside for me was the repetitiveness of the dialogue as they hammered home that Heather was always doing the director thing and that Josh’s stuff was targeted. But while I did not find the film scary, I did and do find it to be entertaining. But let’s see what kind of experience and first impression Juliet had when seeing The Blair Witch Project at the theater. 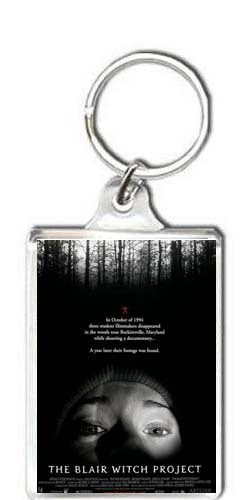 With The Blair Witch Project being one of the rebirth films of the horror genre at the Box Office came the mountain of merchandise, and man there was lots of it! Besides being released on home video it also got t-shirts, posters, trading cards, stickers, soundtrack CD, books, magazines, toy, buttons, patches, cups, comics, jewelry, hats,PC video games, magnets and every thing else you can think of! This was a juggernaut of popularity and fans had to have everything they could get their hands on based on it! I am not going to lie, as when I was a teen and this was released I did and still do own the movie poster, a necklace, trading cards and the movie on VHS and now on DVD. This movie really was a trendsetter and was the 90’s version of A Nightmare On Elm Street as both films sparked so much merchandise and captivated not only horror fans but movie fans. 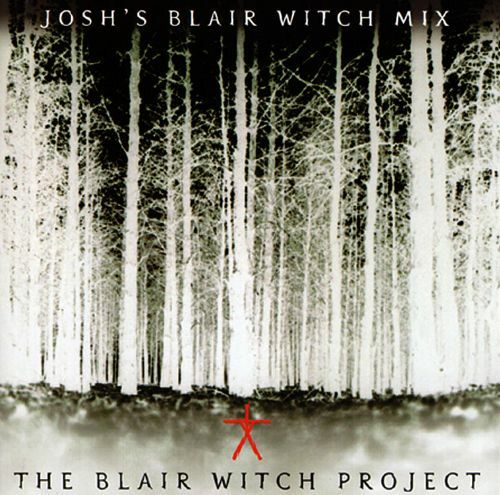 Like all good horror films The Blair Witch Project has a good solid soundtrack that is mostly just one score piece by Antonio Cora that is called “The Cellar” that is a mix of noises that sound hollow yet also sounds so organic, it’s hard to describe besides that fact its very eerie sounding. And because this film was such a hit they decided that a soundtrack CD needed to be released in order to cash in on the films success. With the film pretty much being music less besides the one score music that ends the film they decided to act as if this soundtrack was the Mix CD of Josh and featured songs by bands like Type O Negative, Skinny Puppy, Bauhaus and Afghan Whigs to name a few. The soundtrack sold pretty well and many of my friends had it as it was sold at all the local Music Stores. I had it as well and still on Halloween play The Cellar on Alpha Rhymes on our Halloween Show and even have that track on the overhead at work! 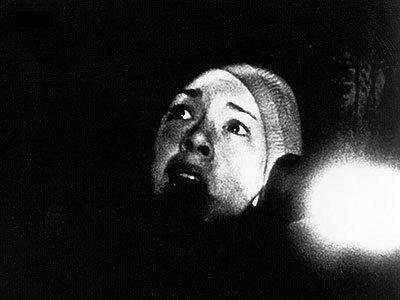 The Blair Witch Project is considered the rebirth and start of the found footage point of view horror film, sure movies like Cannibal Holocaust (1980) and a few others came before it but none of them made as big as an impact in America and many of the masses didn’t even know about these pre-Blair Witch films. But one that came out in 1998 and is a documentary found footage film called “The Last Broadcast” is the flick that many horror fans say that The Blair Witch Project ripped off, as elements are very similar and it predates it in theaters by one year. 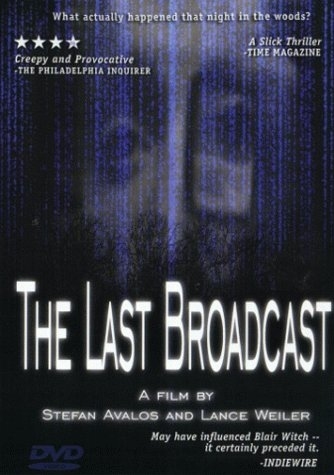 The Last Broadcast is about a group of public access show goofs filming in the Pine Barons to see if the Jersey Devil is real that goes missing and pursumed dead as blood is found in the snow, and this attack was filmed and a fellow crew member was blamed but did he really do it. But is this true was The Blair Witch Project inspired or did it rip off The Last Broadcast as many think…the short answer is No. While the plots share a little similarities with a group heading into the woods to document and find the truth of a local legend that end up dead in the end. Both use a documentary feel and both have lots of POV moments that add to the dread and horror. Both started out as low budget independent films and both had down beat endings. 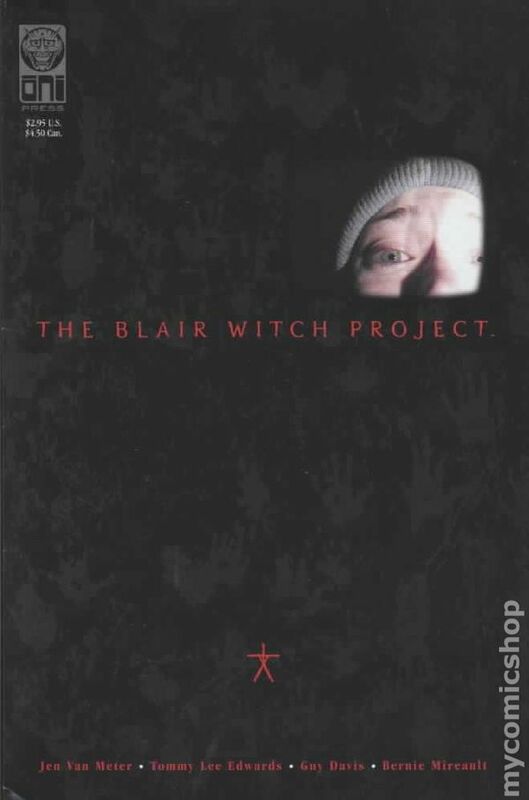 While Last Broadcast was released in theaters in 1998 and The Blair Witch Project in 1999 many would think that the BWP was just a copy but in reality it was in production and filming long before The Last Broadcast even hit theaters making the rumor that it influenced Blair Witch nothing more than Horror Movie gossip. On a side note I really do want to say that I as well really do enjoy The Last Broadcast and find it to be a well-made horror film that is underrated when people think of 90’s Horror Films. So we are here at the point in our review that we have hit the old Parr House in these dark woods in Maryland and I think we should sit back and relax and listen to the noises and screams of the Blair Witch as we read the first one shot comic based on her evil deeds. 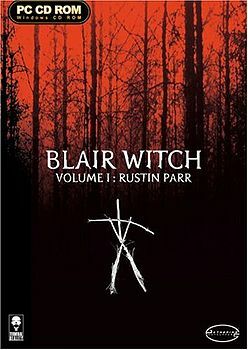 So we have chatted about the film and its legacy, and I am sure many of you are wondering why I have not talked about the two sequels The Blair Witch Project spawned and that’s cause we will have two more chapters in the coming years that will cover those films and the rest of the comics series that followed. And if you look at this crumbled wall next to me finger painted in blood it says “I grade these on a star scale of 1 to 4 and am looking for how well the comic stays to the source material, its entertainment value and its art and story.” I also want to thank Mavericks Cards And Comics for having this comic in those many years ago that allowed me to get it and read it and revisit it for this review. So with that lets see if this comic by Oni Press holds up to my old memories of enjoying it. “Elly Kedward’s Curse!” follows young Elly as she makes her way from Europe to come to America were she lives in Blair, Maryland and stays to herself. She is good at sewing and the towns folk leave her alone for the most part. But something is plaguing Elly as she has a curse that lives deep inside her that causes pain and suffering to those around her and after the men return to town after a great war their hatred is placed on her and she is tormented and accused of being a witch that leaves her tortured and left in the woods to die…while he mortal body dies the curse takes over and she becomes something more and this leads to kids from town going missing and a group of men setting out to find them in the Black Hills Forest. “She Needs Me: Coffin Rock” a young girl is tricked into following The Blair Witch into the woods were she posseses the girl and waits many days until a group of five men coming looking for her, once they find her she is sitting on Coffin Rock and once they get close she uses witchcraft on them and ties them into a circle and mutilates and carves up the bodies! Once this evil deed is done she frees the young girl who returns home telling a story that The Blair Witch tells her to tell of a woman in white helping her. This tale ends with more towns men going into the woods to find the missing search party and now the little girl is messed up in her mind. “Left Alone: The Rustin Parr Killings” this story follows Rustin Parr and man who lived in Blair in the woods and was not friendly to the townspeople and just wanted to be left alone, but this changed when The Blair Witch starts speaking to him via his mind and makes him kidnap 7 kids in pairs of two and he had to kill one as the other stood in the corner and had to listen. 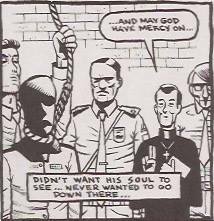 The final kid was set free after the final kill and Rustin turns himself in and dies via hanging and the young man who survived was driven mad and spent the rest of his life in a asylum. This comic is kind of like an anthology comic as three stories make up our comic that is really like a history of the legend of The Blair Witch! The first story follows Elly Kedward as she is murdered for being a witch and the fact she was plagued with a curse that is unleashed full force when she was left for dead, the second story is about the slaughter of five hunter in a search party for a lost little girl that were murdered and mutilated by the Witch and our final story is about child killer Rustin Parr and his killing spree of 6 children that was all being plotted by the Witch. Each story has their own artist and own charm and each deliver some solid and spooky moments. This does not read nor look like your normal Horror Comic as it seems more artsy and holds a real small press comic feel and this really works for this comic as the film as well had a very independent look to it. Out of the three stories I think my favorite was She Needs Me: Coffin Rock as I like the way the witch used an innocent little girl to lead five men to their deaths and twistedly she uses the body of the little girl to commit the murders! My least favorite story was Elly Kedword’s Curse as it just kind of putted along and the pay out was a no brainer. 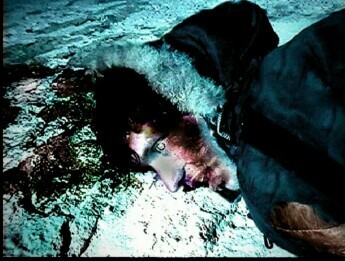 The comic has some blood and gruesome moments that mostly comes from the aftermaths of murder. The comic also does a great job of showcasing some of the films lore like the killing of Elly Kedword, the child killings of Rustin Parr and lastly the slaughter at Coffin Rock. Now the main question I am sure you want to know is if it’s scary at all and if it delivers any chills and sadly I would say that it lacks in that department as it captures the mood and lore of the film it does not capture any of the creepy scares that made it a mega hit. The cover is cool and was sure to capture the attention of fans of the film with its use of Heather and the logo and the interiors was done by three different artists with Tommy Lee Edwards, Guy Davis and BEM all leading their talents to the comic. Over all this is a pretty cool comic and will surly satisfy fans of the film and for the most part Horror Comic fans who like their scares based on films. Check out the art samples bellow to see the styles used in this B.W.P comic. 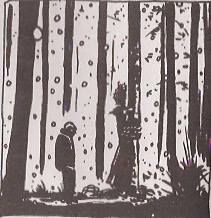 So love or hate The Blair Witch Project this independent film has left a large mark on the world of Horror Movies and even left one in the world of comics as this is not the only comic made based on the characters. The next time we cover the Blair Witch we will take a look at the second film in the series Book Of Shadows as well as review the four issue series from Oni Press called The Blair Witch: Chronicles and I think we get to that sometime in 2018. But for our next update and the next in our countdown to Halloween we will take a look at the Northstar comic based on the 1993 film The Dark! So until next time read a horror comic or three, watch a found footage horror film or two and as always support your local Horror Host! See you next update for another spooky good time!